Describe image questions-Look at the images below and describe in detail what the image is showing.You will have 25 seconds to describe image.Sample answers are given for practice purpose only. The process flowchart represents the four continuous steps involved in the process of recycling unwanted or used products. In the first step, manufacturers distribute the goods to retailers from whom consumers purchase them. After complete utilization of the product, the waste is hand over to the recyclers. Recyclers reproduce raw material to Manufacturers. Overall, the art of converting waste into material can contribute to the eco-friendly environment. 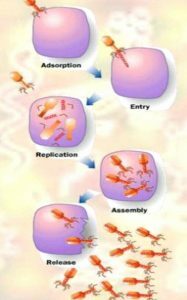 The image shows different stages of bacteriophage.In the first stage, Bacteriophage virus attaches to the surface of bacteria. In the 2nd stage, it injects its genetic material into the bacterial cell which is called entry phase.In the 3rd stage, DNA starts replicating in the bacterial cell.Next stage is the assembly where copies of bacteriophage are formed in the next stage.In the final stage, lysis of bacteria leading to bacterial cell death and virus is released. 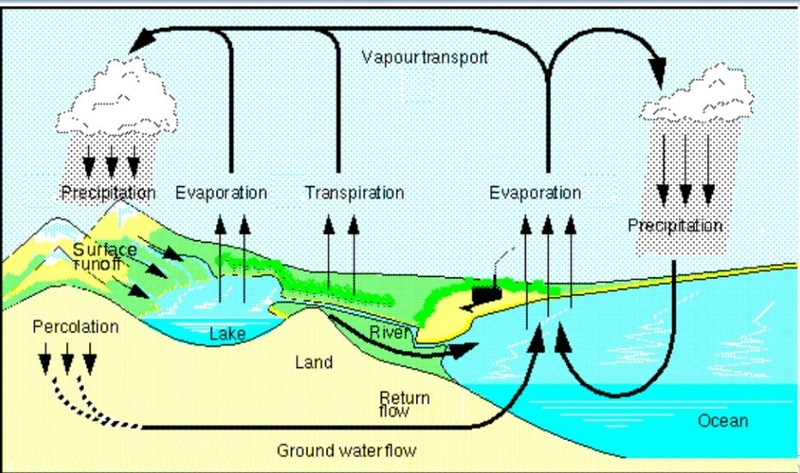 This process diagram represents the water cycle through which water is exchanged among Earth’s surface, ocean and atmosphere. In the first step, water from oceans is absorbed, evaporated and formed as a cloud. Clouds travel from oceans to Earth’s atmosphere and precipitate the rain on mountains and lands. Rainwater flows into lakes and rivers which finally flows towards an ocean. Overall, the water cycle improves the Earth’s groundwater levels.